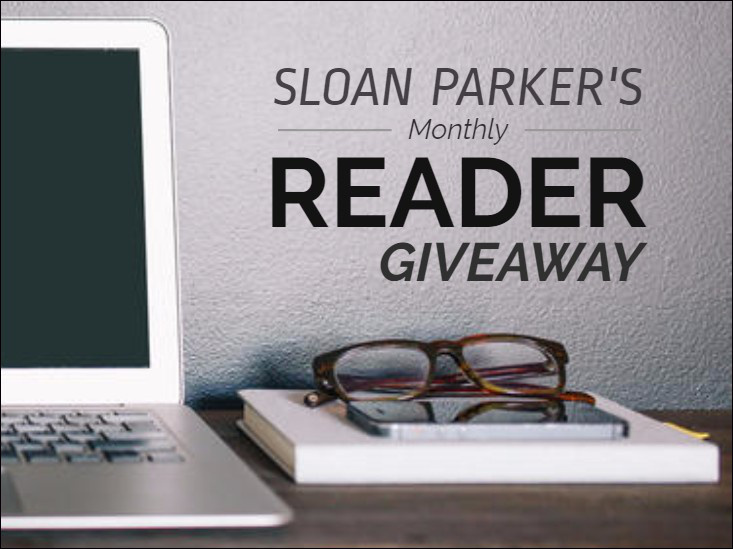 This entry was posted in Free Fiction & Giveaways and tagged all romance ebooks, contest, free ebooks, gift card, giveaway, monthly giveaway by SloanParker. Bookmark the permalink. Hi Sloan, please count me in thank you. Please enter me for the ARE gift card. Thank you. Hi, I would love to enter your Monthly Giveaway contest. Love, love, love your books! Frequently re-read when I need a pick me up! Please enter me in the giveaway. Thanks, Jen! That’s one of my favorite things to hear from readers. So glad you’re enjoying them. Count me in too. Thanks for the giveaway! Hmm, a chance for a gift card for more books? Yes, please count me in!!! Thanks for the giveaway Sloan. Count me in please. Please enter me in the giveaway. Many Thanks! Please enter me into this draw! And thank you for such a great prize! Thanks for entering, everyone. I LOVE doing these giveaways. I just emailed the winner. Congratulations to Nancy, who won a $15 ARe gift card. Be sure to check back next month for another giveaway. (The date for the giveaway may vary per month).